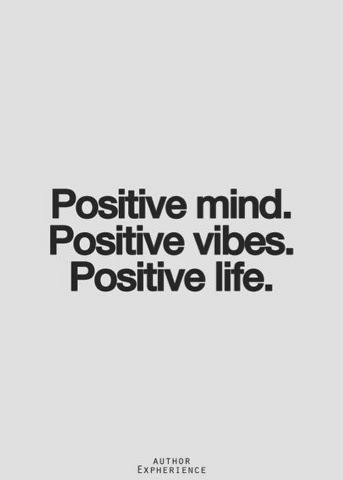 Positivity is crazy powerful. When you surround yourself with positive and happy people, they can't help but change your mood. It rubs off on you. In the same sense, negativity also that same effect on your frame of mind. If you surround yourself with negative people, negativity will also rub off on you. This past weekend, I realized something super silly. I was being approached by a lot more people than usual when I was out. As my friends saw this, they said that both guys and girls both were sort of drawn to me. Girls were coming up and complimenting me about my clothes, hair, nails and athleticism. A few even asked if we could be friends! Guys were hitting on me left and right ;) Not in a sleazy way, but to open up and tell me about their lives. I have always had people feel comfortable in approaching me, and open up to me. I'm always happy and willing to talk with and meeting new people. But this weekend, I came to a realization that there's a reason I have this effect on people. I was so happy this weekend and surrounded myself with only positive people and ideas. That energy rubbed off on people. I was stress free, had plenty of sleep, tons of exercise, and no worries in the world. Everything I did this weekend was enjoyable for ME (not to please anyone else). My message to you this week! Choose your mindset. Get your attitude in check ... because you never know who will soak it up.